Centred around a colourful flower, this modern web design scheme presented in vibrant colours with a bold leafy logo image. In other words, the vibrant flower graphics and lively colour scheme can be overlaid on any business website. Attract new customers from search engines. Provide an overview of the services you offer. Show your location and a map of the area you serve. Allow customers to contact you directly and request a quote. Show your work in a searchable photo gallery. Provide garden tours using a video gallery. Allow your customers to pay you online, using PayPal, Nochex, Google Checkout or WorldPay. 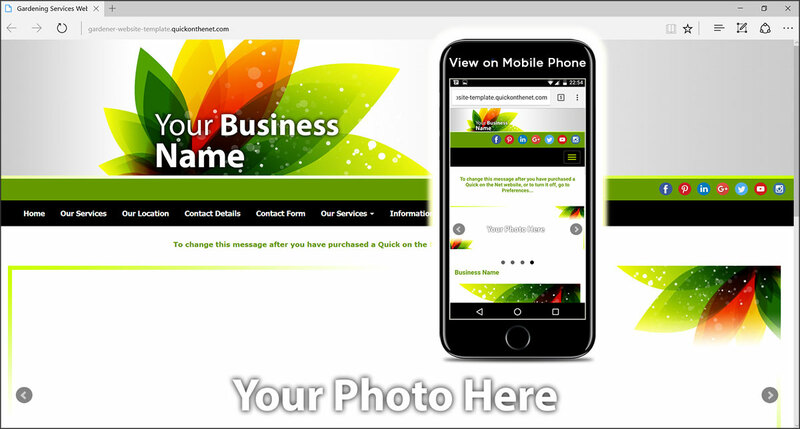 In summary, this colourful scheme is designed to raise the profile of you and your services in a modern attractive business website.